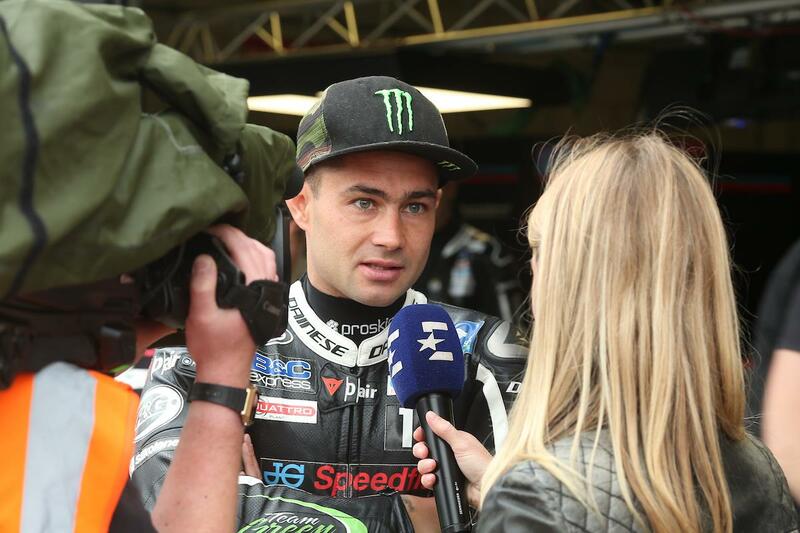 Barring disaster, Leon Haslam will get his hands on his first ever Bennetts British Superbike championship trophy at this weekend’s final round at Brands Hatch. The JG Speedfit Kawasaki rider carries a whopping 61-point lead over title rival Jake Dixon after a double victory last time out in Assen, while Dixon broke down in the second race. To put Haslam’s lead into perspective, had he gone into the 2017 final round – which he dramatically lost after a number of issues through the weekend – with the same lead, he would have walked away as British Champion by 22 points despite the brake failure carnage. And while nothing is clear cut in racing, Haslam needs to finish a minimum of 11th in the weekend’s three races should Jake Dixon, who has never won on the Brands Grand Prix circuit, win them all. “Brands GP circuit is the only circuit I haven’t won at with Kawasaki in the last three seasons,” he said. “I have won there before, back when I was with Ducati in 2007, but since I came back to BSB in 2016 I have won at every circuit apart from this one, so there’s a right to be wronged there before I go to World Superbikes next year! However, the 35-year-old admits it won’t be an easy feat to win at Brands and while he knows Jake Dixon will be doing all he can should the title fight fall into his favour, he’s expecting a stronger challenge from elsewhere. Ahead of the Assen races, Haslam was visibly nervous and reserved as he focused on the title fight. While the 61-point lead appears to have relaxed him slightly, he’s refusing to get carried away. “Sure, the past few weeks have been a lot easier knowing I’m going into Brands with a 61-point lead. Even with what happened last year I’d have won the title if I’d had that lead, so that goes to show even if everything doesn’t run smoothly we are in a strong position.